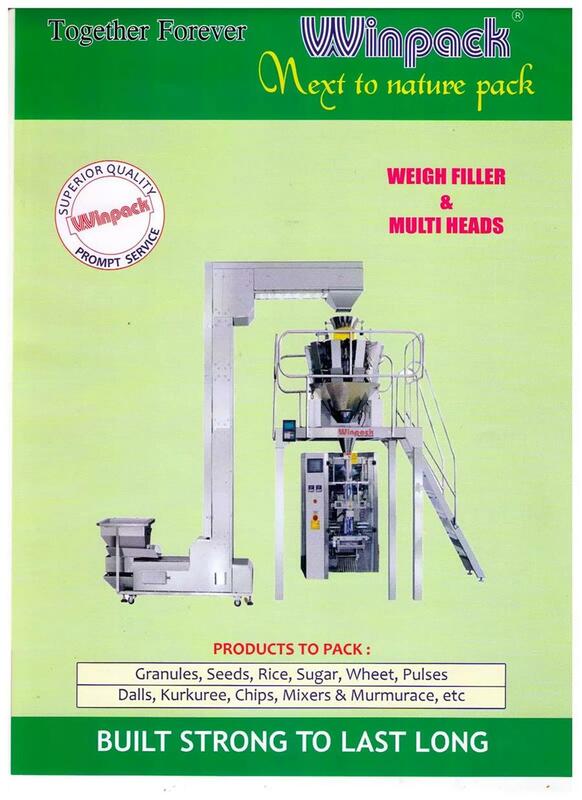 WINPACK is offering Multi Heads in 10 Heads, 14 Heads and 18 Heads fully Automatic FFS Machine to pack uneven products and all types of Grains, Dall, Sugar, Rice etc from 10 grams to 10kgs. The Multi Heads are imported whereas bagging is made by WINPACK. The bagging machine is integrated with imported multi heads in our factory and supplied. There is a load cell weighing system.